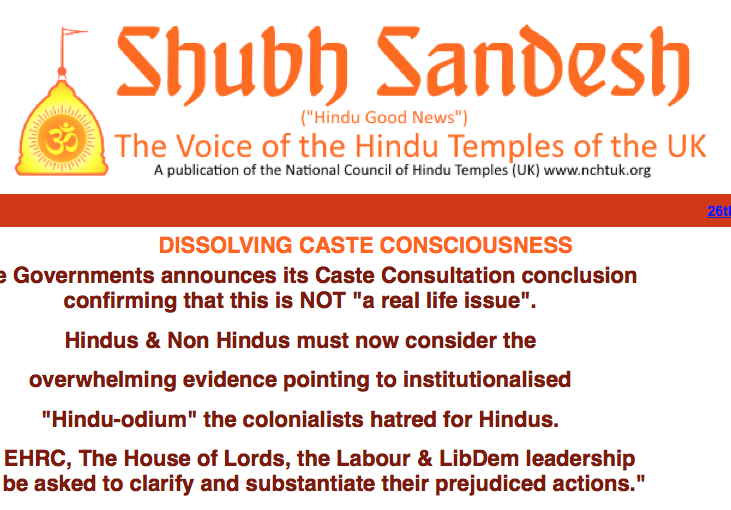 National Council of Hindu Temples, in their publication Shubh Sandesh (Hindu Good News), has accused British Government institutions of colonial-style hatred of Hindus. In an article headlined “DISSOLVING CASTE CONSCIOUSNESS” the publication says: “The Government announces its Caste Consultation conclusion confirming that this is NOT “a real life issue”. Hindus & Non Hindus must now consider the overwhelming evidence pointing to institutionalised “Hindu-odium” the colonialists hatred for Hindus. The report, sign by the NCHT Executive, continues: “We have already established beyond doubt that the current manifestation of the “Caste System” structure in India was consciously constructed by the Christian Anglican rulers of Colonial India. The Dalits as a crushed community were deliberately created by the Criminal Tribes Act of 1871…. and many other hitherto conveniently overlooked inconvenient historical facts, all of which are available for download in our report. “The British Government has now agreed that the evidence for the existence of caste discrimation presented was woefully inadequate and wholly unreliable. So the question remains … Why did Lord Harries and other peers initiate what can only be described as a “witch hunt” against a wholly innocent and fully integrated British Hindu community? 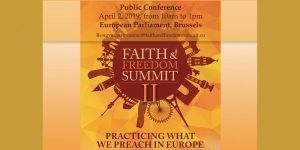 “If such a “hate speech” motivated pogram can find broad institutional support in this day and age, what hope is there for community cohesion and integration?